A great looking home starts with the exterior of your home and that usually means getting the best siding for your home to make it look amazing. But looks aren’t everything and finding a siding that looks great and also protects your home well in the Michigan climate is a must. One of the best siding materials or products to do that is James Hardie Siding. Installing James Hardie Siding in Michigan can give your home an amazing look and really make a huge difference in your home’s value and curb appeal. 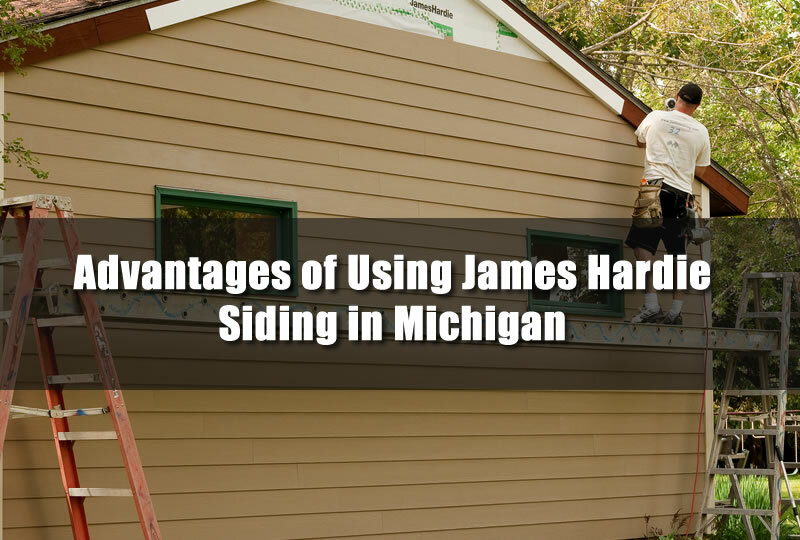 In this article I’ll discuss some of the advantages of using James Hardie siding in Michigan and why it’s a great choice of siding for your home. Any home improvement project today needs to be analyzed and a return on investment needs to be done. There are many things that you can do to your home to increase it’s value and siding is just one of those things. Increasing the curb appeal of your home will always have a positive affect on the value of your home. And one of the best siding materials to use today for your Michigan home is James Hardie siding. James Hardie siding is a relatively new type of siding that has been introduced in the last few decades but since then it has really made an impact. Are you ready to make an impact on your home’s value for the better using James Hardie siding in Michigan? If so, this is the article for you with more details about this great siding material below. Although many people consider James Hardie siding a type of siding it’s actually not. In fact, the type of siding that James Hardie siding is called fiber cement siding. It’s made with synthetic materials that are designed to last a long time and protect your home. Since James Hardie siding is the top manufacturer of fiber cement siding and has remained at the forefront of all design and technology behind the material makes it the standard for fiber cement siding. It’s much like copy machines are often referred to as xerox machines or tissues are called Kleenex. Winter in Michigan can be quite harsh on siding for your home. In fact, some siding products such as vinyl siding may turn more brittle and crack more easily in the cold environment but not James Hardie siding. Even in the cold Michigan climate the siding holds up very well with no ill side effects of the cold. Sometimes snow drifts may even pile up on the siding and stay there for days without any affects to the siding at all. Wooden siding on your home is always under threat from a variety of problems. The wood rotting and insects can make the siding their home essentially destroying the siding in the process. But the best thing about James Hardie siding is that it’s not a problem at all. The fiber cement siding materials that it is constructed of is completely insect and rot resistant. 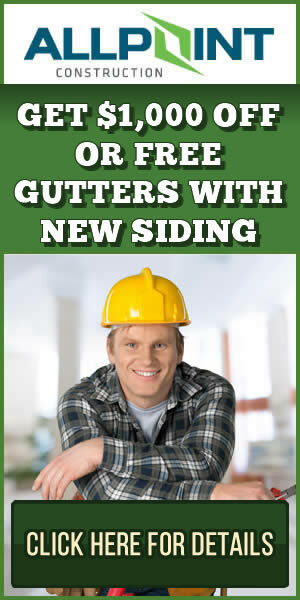 It’s not a problem at all for James Hardie siding. Kids can throw balls and other objects at most siding materials and they can crack. In the case of metal siding the usual result is that it leaves a dent. An advantage of using James Hardie siding is that it’s impact resistant. While the initialization may seem like the siding is not structurally sound, once it’s installed it can really give your home a good barrier on the outside. Constantly cleaning siding or repainting siding is a hassle and over time that can become expensive. The upkeep of some of the siding choices today can be huge even if they are economical initially. One of the advantages of James Hardie siding is that it requires very little maintenance once it’s installed. Plus, once it’s installed it looks simply amazing on the home! It’s certainly a choice that can make a huge difference in your home’s appearance. Want to learn more about what James Hardie siding can do for your home? Be sure to get a siding quote in Michigan to lean more about what it can do for your home.